The following post is sponsored by FitFluential LLC on behalf of Kellogg's. Are you an Olympic fan? They are just around the corner. 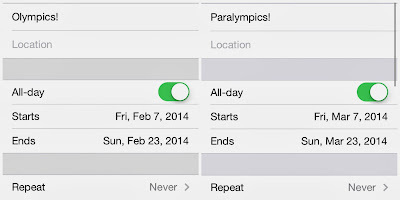 Today marks 101 days until Sochi Winter Olympics. For those of you without a calendar in front of you to count out the days, that would be February 7 - 23. 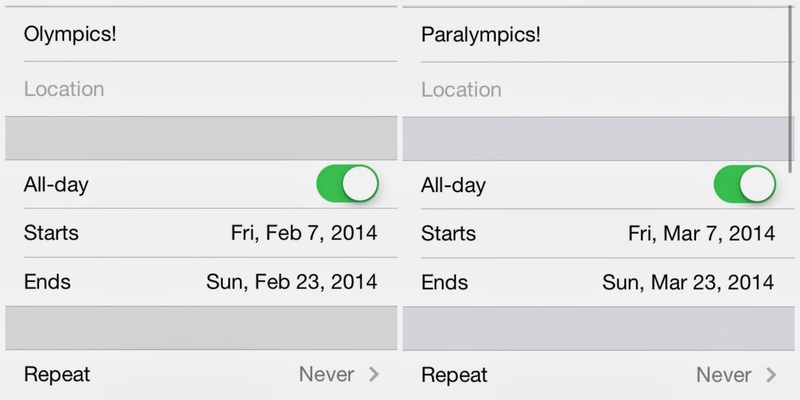 Then, only a month later, the Sochi Paralympic Games will be held March 7 - 23. Trust me, these dates are on my calendar! Yes, I seriously put everything on my calendar. I might be addicted. But it keeps me organized. How you start your day really has a powerful impact on how the rest of your day is going to go. I am a strong believer that a great breakfast leads to great things. That is why I'm excited by Team Kellogg's #GreatStarts. Team Kellogg's is made up of 11 inspirational athletes who have had many great starts and have worked hard to make it to Sochi. Her sport is Paralympic Snowboard Cross and this is her first year participating in the adaptive snowboarding at this year's Paralympics. She lost both legs, her kidney, and spleen after contracting meningitis. However, despite these losses, at the age of 19 she managed to become the world's #1 ranked adaptive snowboarder. Her parents have always been and continue to be Amy's biggest influencers in her life. Not only was her father her kidney donor, she danced with her dad when she put on her new legs. Her friends have nicknamed her "Lucky" for surviving meningitis. I'm sure she is lucky, but I'd call it more Amazing to have beaten those odds and to come back as a talented snowboarder and one who played an instrumental role in getting adaptive snowboarding to be part of the 2014 Paralympics. View her #GreatStart video here. She gets her #GreatStart with Kellogg's: Fiber Plus cereals and bars, Meuslix, Smart Start, Rice Krispies Gluten Free, Special K, Eggo Nutri-Grain Honey Oat, Eggo Fiber Plus, and Special K protein. Follow her on twitter here. Gretchen didn't start snowboarding until she was 10 years old. She is the 2006 Olympic Silver Medalist and finished 6th at the Burton US Open and 5th at the X Games Tignes. At the 2014 games, her sport will be Snowboarding (Halfpipe). In addition to her Kellogg's #GreatStart, she also begins each day with 30 minutes of meditation. In addition to being an Olympic Snowboarder, she's also studying to become a primordial sound meditation instructor. Her major influencers in her life are your old brothers. She wanted to be like them, so she followed in their footsteps and began snowboarding because of them. Watch Gretchen's #GreatStart video here. She gets her #GreatStart with Kellogg's: Special K, Smart Start, Raisin Bran, Corn Flakes, Cracklin' Oat Bran. Follow her on twitter here. 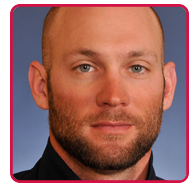 Heath is a father of three - son, Mason, and daughters, Brystol and Bailee and is very involved in their sports. Heath lost his legs above the knee during combat while serving in Iraq. Instead of giving up, he chose to be there for his son who was one year old at the time. He credits skiing as the first thing to have made him feel "whole" again after the loss of his legs. Heath earned 8th place, Super-G and 10th place Super Combined at the 2010 Paralympic Winter Games. He most recently won a gold medal in the sitting slalom and came in 4th in sitting giant slalom at the Para-Ski National Championship. Heath will compete in Alpine Skiing (Giant Slalom, Slalom and Super Combined) in the upcoming games. Watch Heath's #GreatStart video here. He gets his #GreatStart with Kellogg's: Fiber Plus bars: Caramel Coconut Fudge and Dark Chocolate Almond, Frosted Flakes, Frosten Mini-Wheats, Rice Krispies, Low Fat Granola, and Maple and Brown Sugar Pop-Tarts. Follow Heath on twitter here. Jim started out his hockey career as goalie because he didn't really know the rules of the game and thought at least he could keep the puck out of the net. He's done that time and time again. His most memorable moment was the 1980 Olympic Winter Games in Lake Placid when the US Men's Olympic Hockey Team defeated the Soviet team, and won the Olympic gold. He's now a father of two hockey players - his son played college hockey at University of Massachusetts Lowell and his daughter is currently on the women's hockey team at Colgate University. Jim will be playing goalie once again at the 2014 Winter Games. He gets his #GreatStart with Kellogg's: All Bran, Bran Flakes, Corn Flakes, Fruit 'n Fiber, Nutri-Grain Bars, Frosted Flakes, Rice Krispies cereal and milk bars, Special K, Frosted Mini-Wheats, Just Right. Follow Jim on twitter here. Both Meryl and Charlie credit their parents for supporting their journey's from the start. Meryl got her start at skating on an outdoor lake at the age of five. Both Meryl and Charlie were very shy kids. When they started partnering together at the age of 9, they couldn't even look each other in the eye, which made it a bit awkward dancing together. They've since overcome this shyness and have become a talented duo. They've been skating together for 15 years and have been American ice dance champions 4 times, Olympic silver medalists as well as World Champions. 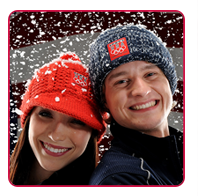 They are competing in Ice Dancing at the 2014 Winter Games. Watch their #GreatStart story here. Meryl gets her #GreatStart with Kellogg's: Special K bars, Peanut Butter Protein Bars, Raisin Bran, Special K, Frosted Flakes, Nutri-Grain Bar. Charlie gets his #GreatStart with Kellogg's: Frosted Mini-Wheats, Pop-Tarts, Eggos, and Nutri-Grain Bars. Follow Meryl on twitter here and Charlie on twitter here. 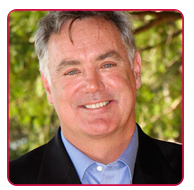 The renowned 1992 Olympic Goal Medalist will be a taking to the ice again for the 2014 Winter Games. She got her start in skating when she was 6 years old to help her overcome her club feet. She was a shy kid growing up but the ice became her safe place and where she could really be herself. This is where she shined, and shine she did. She's authored two children's books titled Dream Big, Little Pig and It's a Big World Little Pig. She gets her #GreatStart with Kellogg's: Corn Flakes, Rice Krispies, Frosted Mini-Wheats, Special K. Follow her on twitter here. 18 year old, Sarah comes from a family full of winter athletes - both parents and her older brother. Her father was a former collegiate ski jumper, her mother was a cross country and downhill ski racer, and her older brother is a member of the Nordic Combined B Team. Sarah got her start in skiing at the age of 2. Not only does she come from a family of winter athletes, they are also quite supportive. Both of her parents travel to most of her major competitions to show their support for Sarah. 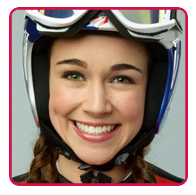 Sarah is competing in Ski Jumping in the 2014 Winter Games, which is making it's Olympic Debut this year. Watch Sarah's story here. She gets her #GreatStart with Kellogg's: Frosted Flakes, Crunchy Nut Clusters Honey + Nut, Special K Red Berries, Frosted Mini Wheats, Bran Flakes. Follow her on twitter here. Ted started skiing at the age of 2 and started competing when he was 10 years old. 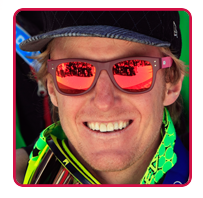 Over the course of his career, he has earned 37 World Cup medals and hold 4 World Cup giant slalom titles. He won the Olympic Gold Medal in 2006 an will be competing in Alpine Skiing (Giant Slalom, Slalom, Super Combine) at the 2014 Winter Games. When Ted's not competing, he shares his love of ski racing by coaching kids in his hometown, Park City, Utah. Watch Ted's #GreatStart video here. He gets his #GreatStart with Kellogg's: Rice Krispies, Eggo's, Frosted Mini Wheats, Cracklin' Oat Bran. Follow him on twitter here. 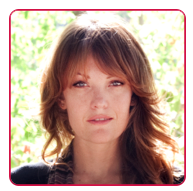 A mother of two children, daughter Lacee Lynne, and son, Traycen. She credits her family and their support with her success. This past season, she traveled with her entire family to each of her competitions (with the exception of one) and had her best season to date. She missed her chance to show her skills in the 2006 Winter Games when a runaway bobsled hit her and she broke her leg. This is here year. Her sport in the 2014 Winter Games is the Skeleton. Not really sure what the Skeleton is? Then you have to definitely watch Noelle's #GreatStart story here. It's amazing! She gets her #GreatStart with Kellogg's: Fiber Plus bars, Special K, Frosted Mini Wheats, CornPops, CRISPIX, Smart Start, Raisin Bran, Rice Krispies treats, Nutri-Grain bars, Fruity Snacks, Eggos. Follow her on twitter here..
18 year old Torin has dealt with homelessness growing up. However, he never let this stop him from following his dreams. He's actually been quite successful in his skiing career, so much, he's been able to help pay rent when times were tough, even at the age of 14. 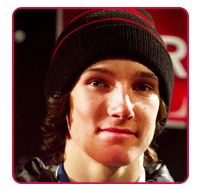 He's making his Olympic Debut in 2014 in the Freeskiing (Halfpipe and Slopestyle). Watch his #GreatStart story here. He gets his #GreatStart with Kellogg's: Pop-Tarts, Frosted Mini Wheats, Eggos, Raisin Bran, Frosted Flakes. Follow him on twitter here. I hope you have found some inspiration in these #GreatStart stories from Team Kellogg's. I know I definitely teared up a few times. Are you ready to make sure you and your family are getting a #GreatStart? Are you free for at Twitter Chat today? FitFluential is hosting a Twitter Chat today with Kellogg's and Olympic Snowboarder Gretchen Bleiler today from 2-3 pm EST to chat about her approach to training, nutrition, and how to start every day great. Find more information about the twitter chat here. I do too!!! And now I'm looking forward to cheering on these athletes above and many more! Great post Jen, thanks so much! LOVE IT!!! This is so inspiring! I am a huge smoothie junkie - it's my go-to breakfast solution too! I just dump spinach, frozel fruit, almond milk, and applesauce in mine and hope it turns out well haha. I just started getting into protein powders and am still experimenting, I love that Complete Truth is vegan and not too sweet, I've run into that one too many times!